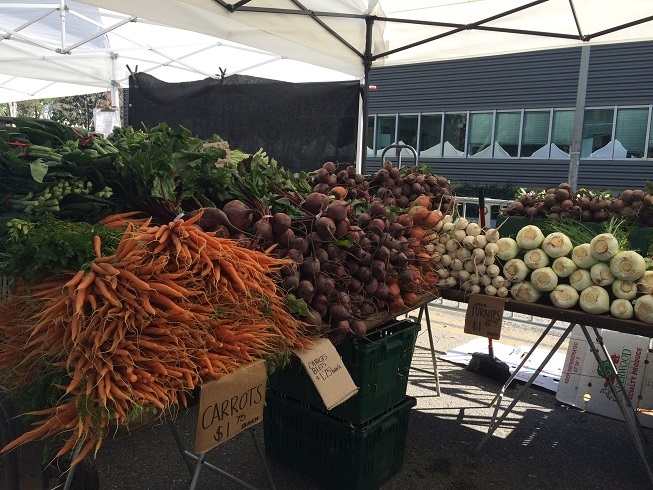 California State University Northridge (CSUN) hosts a weekly farmers market on campus. CSUN set up a table at the farmers market to encourage eligible students to enroll in CalFresh. CalFresh is a state program in California issuing monthly benefits that can be used to purchase food at many local markets and stores. Along with facilitating enrollment in CalFresh, CSUN promoted the use of Electronic Bank Transfer (EBT) cards to receive those food benefits, and shared information about the CSUN Food Pantry. The goal was to reduce food insecurity among the CSUN student population, and to make students aware of existing resources. Weekly Farmers Market on CSUN campus. Photo Courtesy of CSUN. The Farmers Market and Food Pantry are both located on CSUN’s campus. The interim Director of the Institute for Sustainability and the Sustainability Program Manager are responsible for implementing this outreach initiative. The initiative was funded through an external grant. 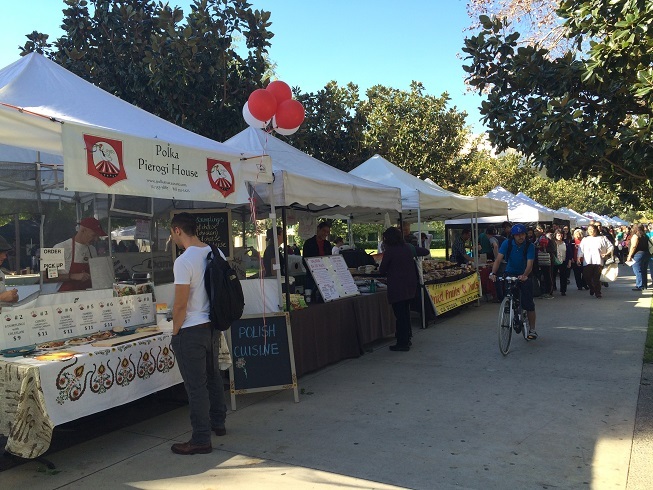 The CSUN Farmers Market is a weekly event led by the CSUN Associated Students organization. The CalFresh program is part of the federal Supplemental Nutrition Assistance Program, or SNAP, and is supervised by the State of California. CSUN’s initial resilience assessment identified food insecurity in the CSUN population as an existing condition that may be exacerbated by climate change. During campus-community workshops hosted as part of the resilience assessment, participants similarly identified environmental risks related to water and food as key concerns. The existing food insecurity and concerns that this may be worsened by climate change led to the development of the outreach initiative. Produce at the Weekly Farmers Market on CSUN campus. Photo courtesy of CSUN. Indicators to measure impact of this project include 1) annual recipients of SNAP/EBT from CSUN’s campus and 2) number of visits to the CSUN Food Pantry. The Food Pantry has already seen a large increase in the number of visits in 2018 and is currently serving over 200 visitors per week.